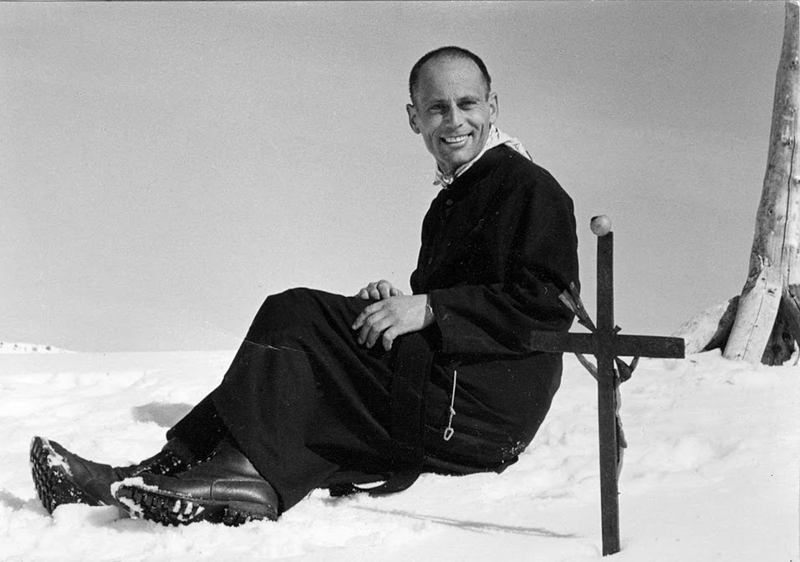 Father Karl Stadler was born on March 7, 1921 and was raised in Rorschacherberg, Switzerland near Lake Constance. 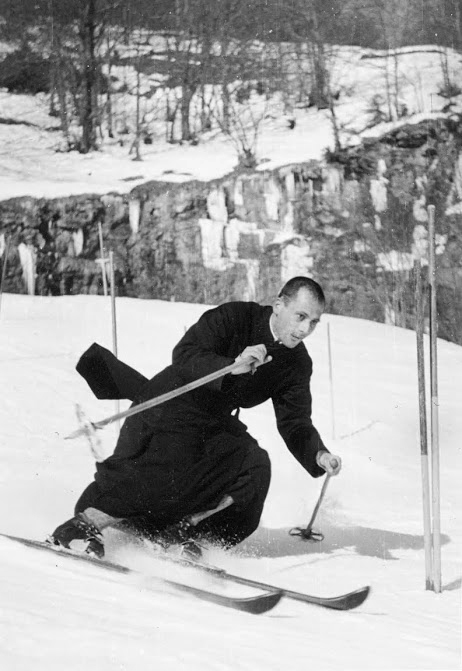 He began high school at the Stiftschule Engelberg in 1934 and joined the Benedictine order at the Engelberg Abbey in 1942. 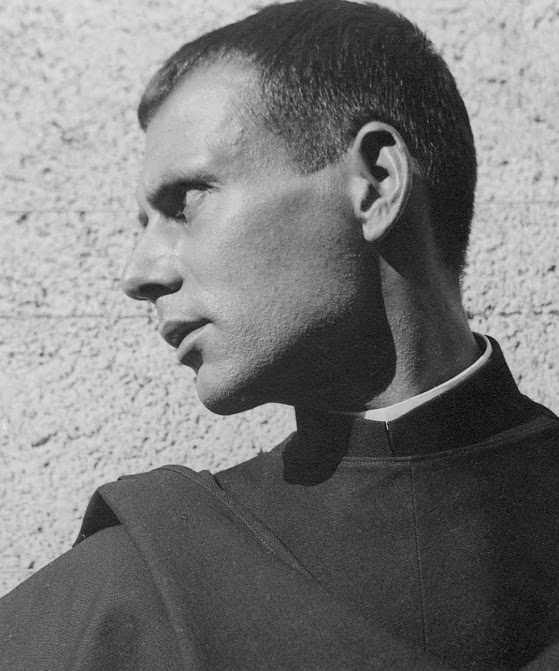 After studying theology, he attended the School of Applied Arts in Basel before returning to Engelberg in 1951, where he taught drawing and aesthetics at the Stiftschule Engelberg until 1996. 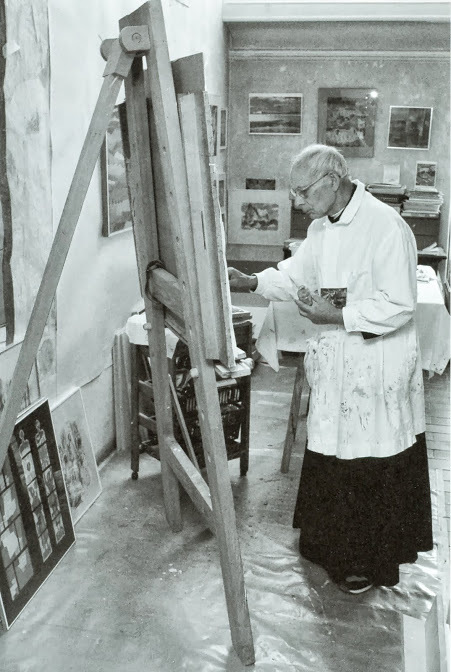 Throughout his life at the Engelberg Abbey, he maintained an art practice based in his attic atelier. 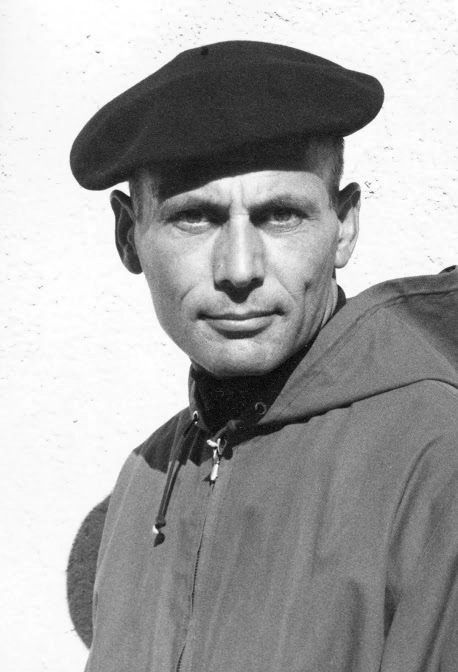 Father Karl is best known for his sacral works, and examples of his paintings, murals, and stain glass windows are on view all across Switzerland. 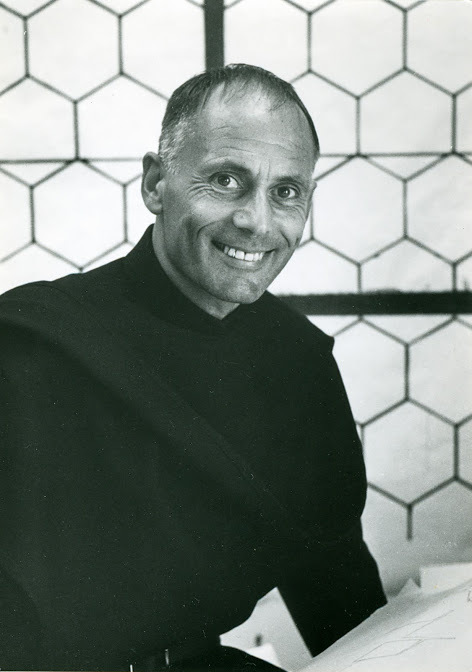 His public commissions include the ceiling mural and cross in the Schwand chapel near Engelberg (1951), the stained-glass windows in the convent church of the Benedictine nuns in Niederrickenbach (1961), as well as in the Holy Cross Chapel in Grafenort (1971) and the chapel of the retirement and nursing home in Engelberg. 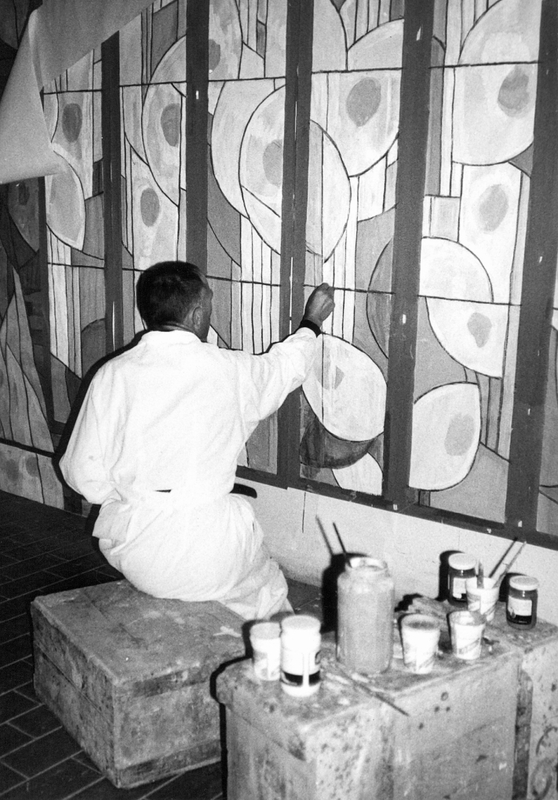 Father Karl sustained a practice across the mediums of painting, sculpture, stained glass, printmaking, lithography, murals, and photography for over sixty years. 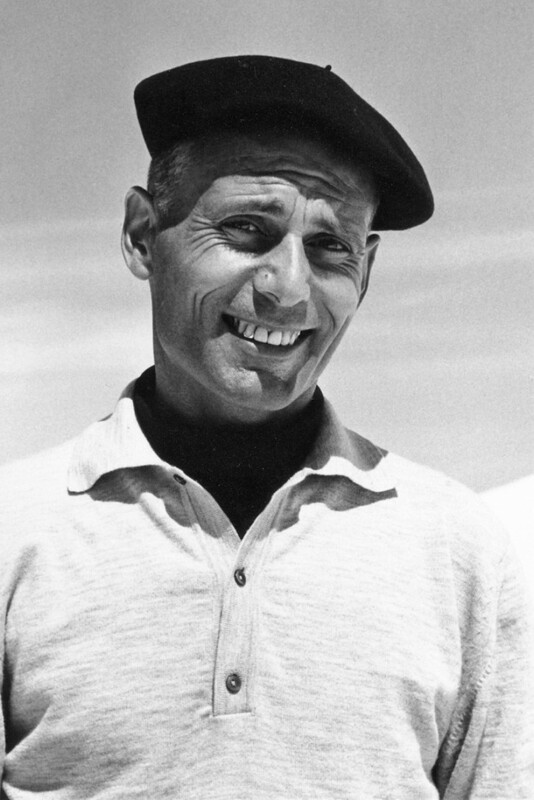 Born Paul Stadler, on March 7, 1921 in Rorschacherberg, St. Gallen near Lake Constance in Switzerland. 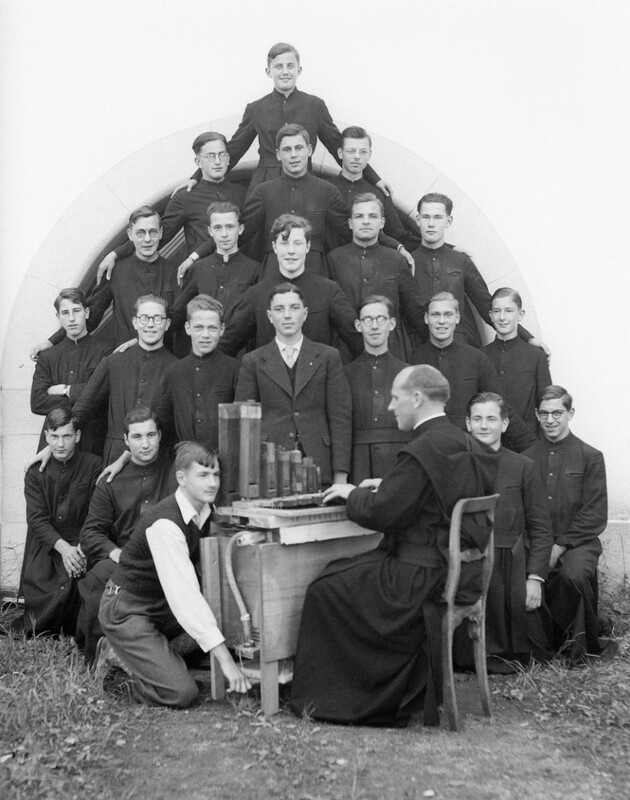 High school at the Stiftschule Engelberg. Graduation and mandatory 17-week military training. 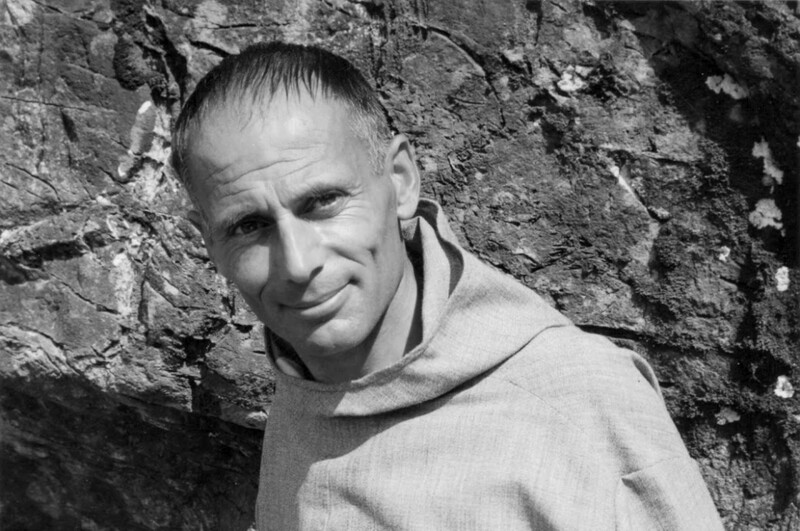 Entry into monastic life at Engelberg Abbey (Oct. 6). 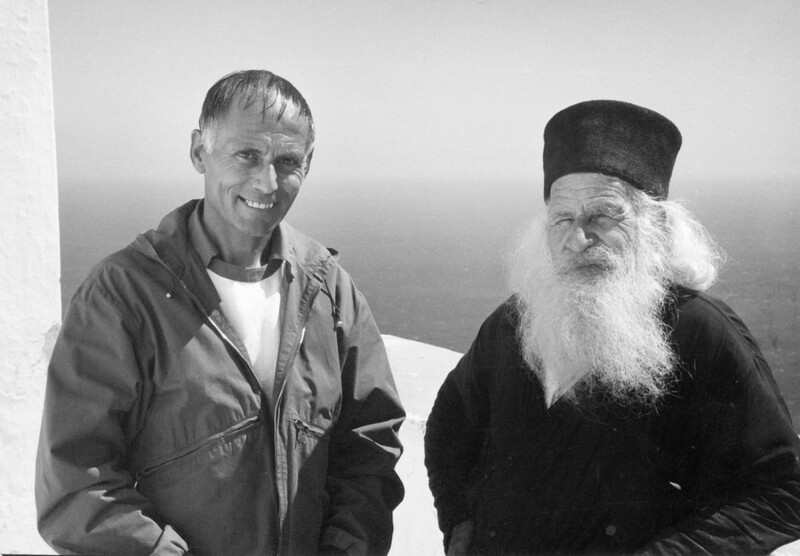 Temporary vows with acceptance of the monastic name Karl (Oct. 5, 1943). Studies at School of Applied Arts Basel (Department of Art Teacher Training).Concurrent introduction to the creation of sculptural figures with sculptor Albert Schilling in Arlesheim. 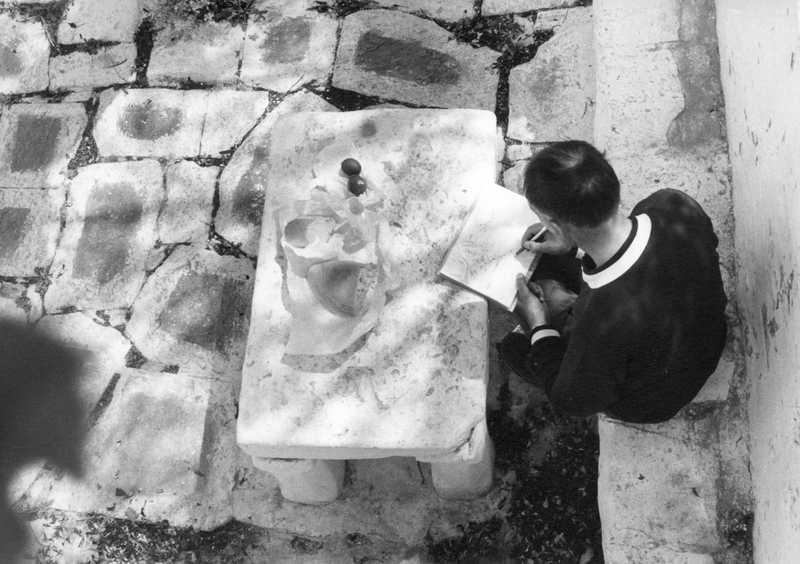 Called back to the Engelberg Abbey school for teaching service, and takes on drawing and aesthetics as his main teaching assignments until 1996.Maintains an ongoing art practice throughout this period. 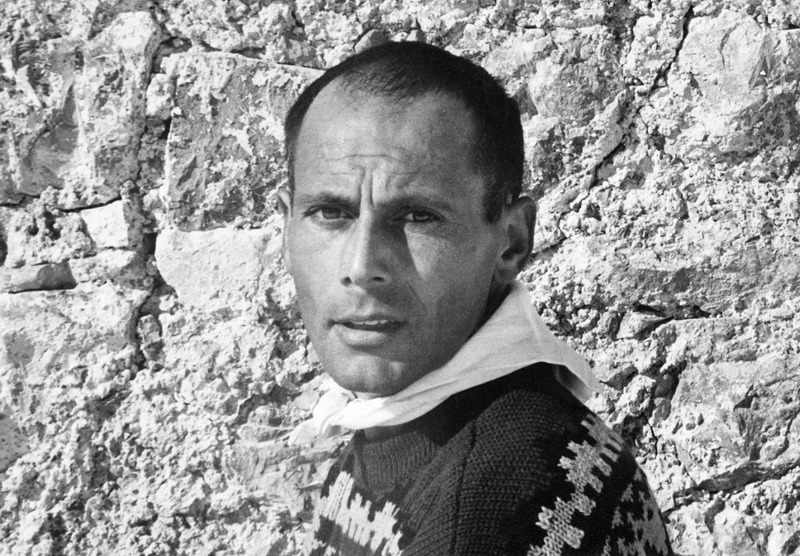 Travels to Algeria, Belgium, France, Greece, Italy, Palestine and Turkey. Editor and regular contributor to the Titlisgrüsse, the quarterly publication of the Engelberg Abbey. 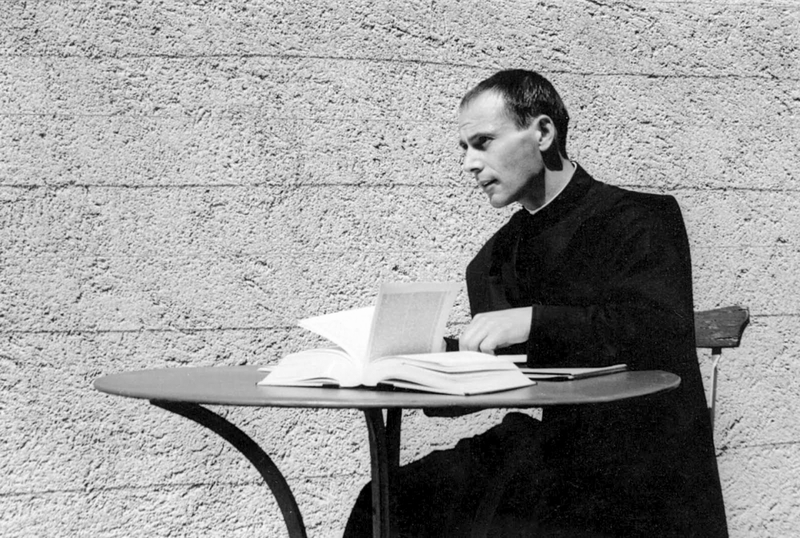 Works from Four Decades, a monograph of Father Karl’s work, is published. Exhibition in museum. 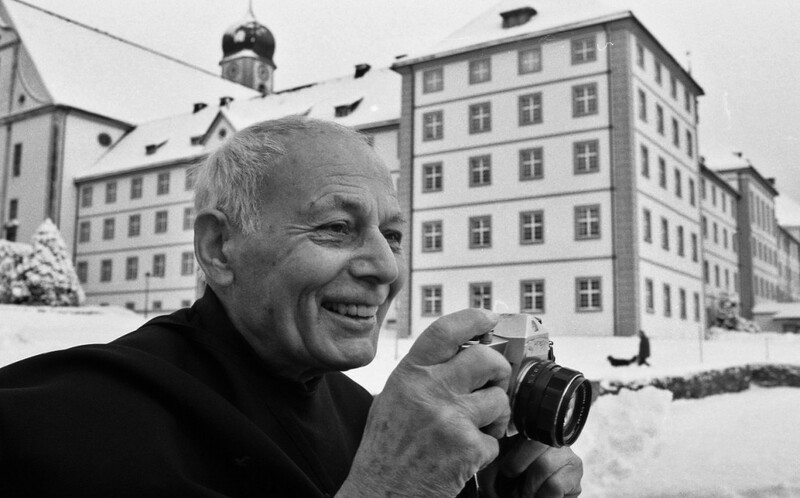 Died on June 17, 2012 at Engelberg Abbey. Various exhibitions in Swiss galleries (e. g. Valley Museum Engelberg, 1991/2014; Gluri Suter Huus, Wettingen, 2000; Gallery Schwanensee, Engelberg, 1975/1976/1978/1979/1989; Gallery Spöring, Engelberg, 1987-88;Fischingen Monastery, 1984; Gallery at Kronenplatz, Affoltern a. 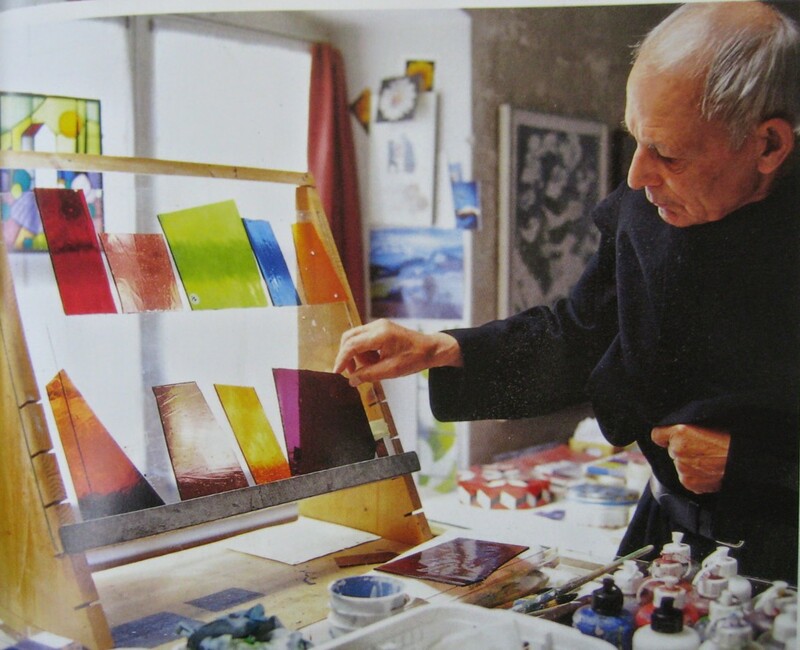 A., 1976; Bürgli-Gallery, Gossau SG, 1974; Maihof Gallery, Schwyz, 1971; Glass Painting Engeler, Andwil, 1970). 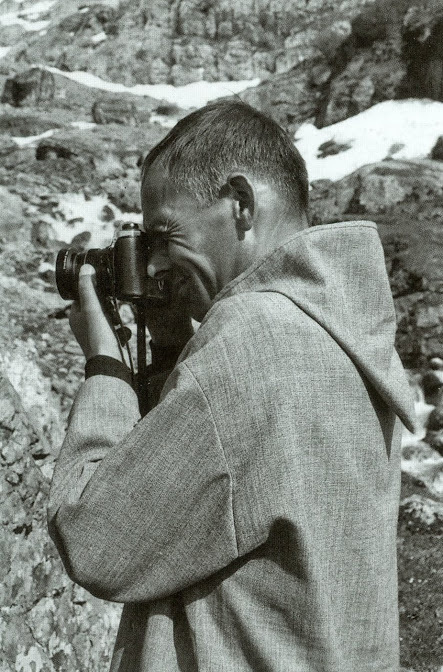 Photos for several editions of Engelberg – Wanderbuch Zentralschweiz, Beckt, Hugo; Suter, Werner. 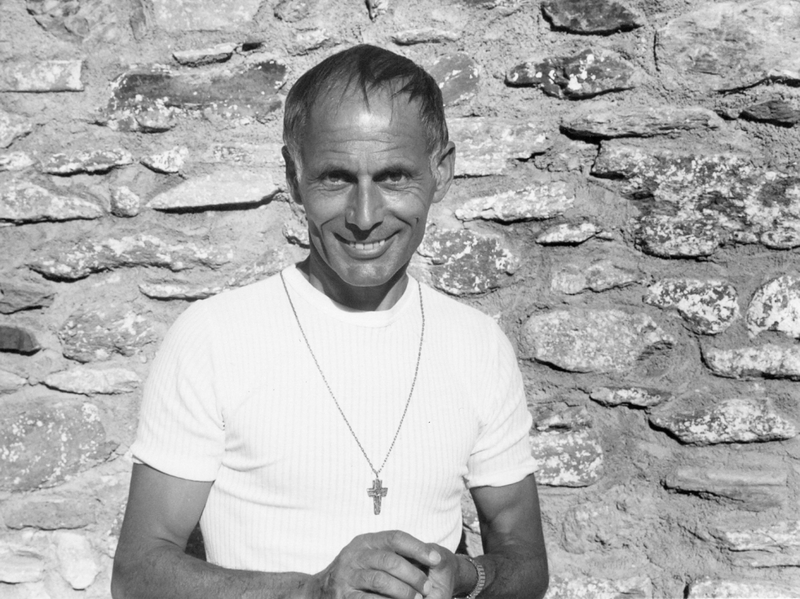 Black and white photography exhibition «The Beauty of Simplicity» Valley Museum Engelberg (14.12.2013 to 27.4.2014), featured on arttv.ch.